Nothing like a beautiful, colorful and tasty summer salad to enjoy on this sunny 82 degree New York City day! I feel very fortunate not only to live in one of the greatest cities in the world, but to also enjoy a lovely home that allows me to dine on a beautifully landscaped roof top and enjoy the city skyline! Why eat indoors when it’s so beautiful outside? We all need to take a break from our work and enjoy a good meal, so why not really surround yourself with as much beauty as you can. This fresh salad took about 10 minutes to put together and even better than how quick it was to prepare, it was very healthy too! While the chicken was cooking on the stove, I whipped up the other ingredients and mixed them in a bowl. By the time the chicken was done, about 9 minutes, all I had to do was cut it up and add it to the salad. Less time than one would think. 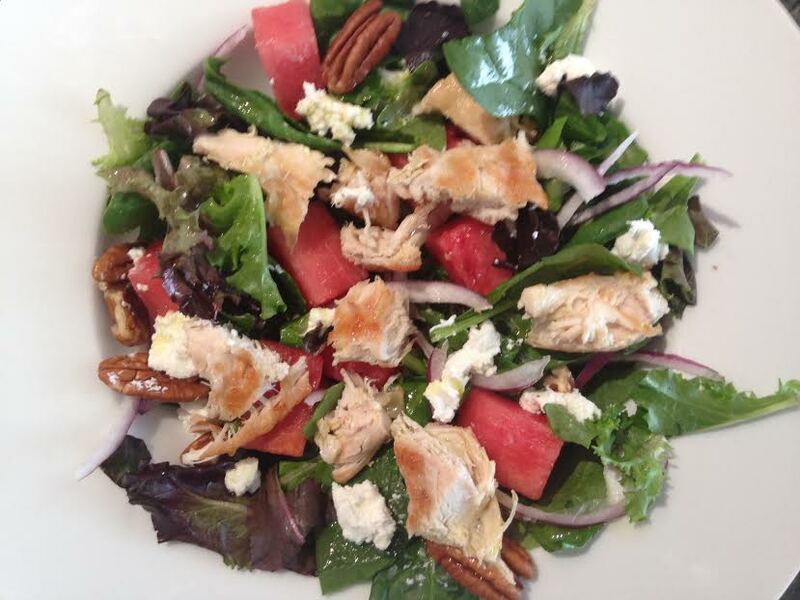 I placed the following goodies in the salad; spinach, mixed greens, pecans, red onion, watermelon, goat cheese, the chicken that was sauteing in fresh garlic and olive oil, and then drizzled some extra virgin olive oil on top. 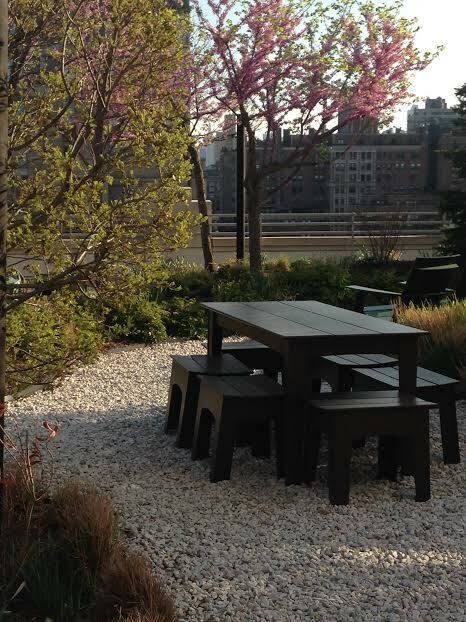 Looking forward to more beautiful days eating outdoors! Previous Post Hola, Happy Cinco De Mayo, Healthy Fish Tacos!! !